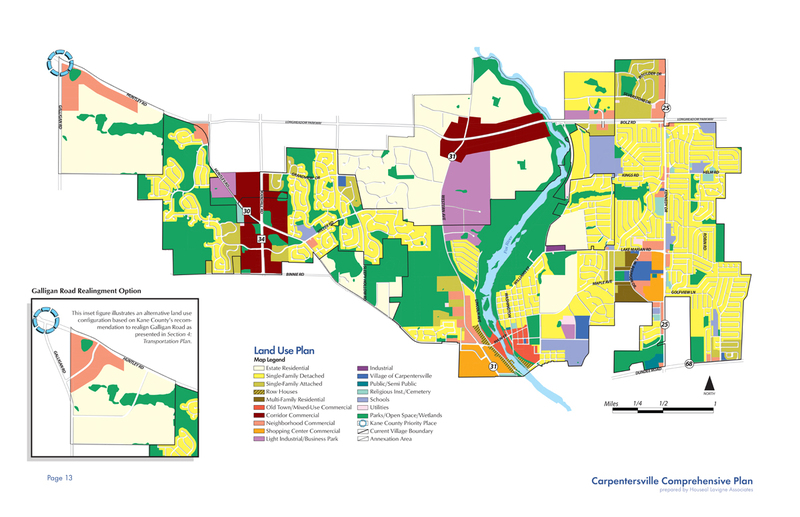 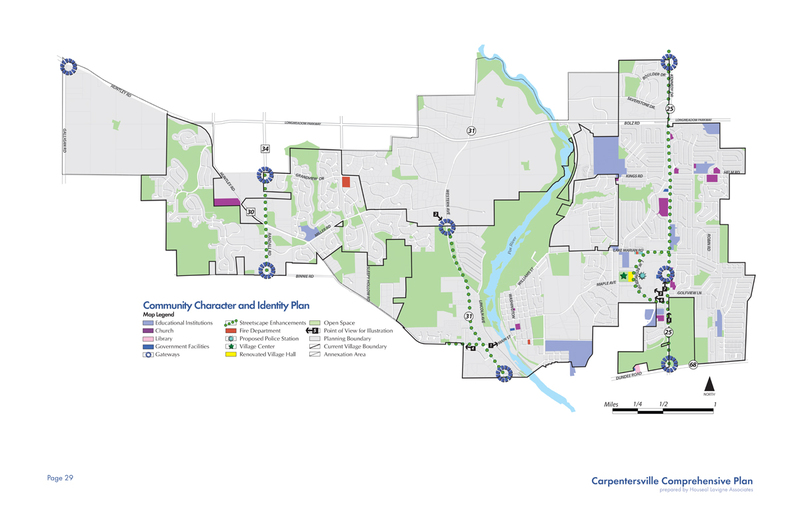 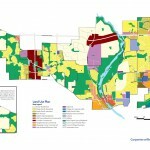 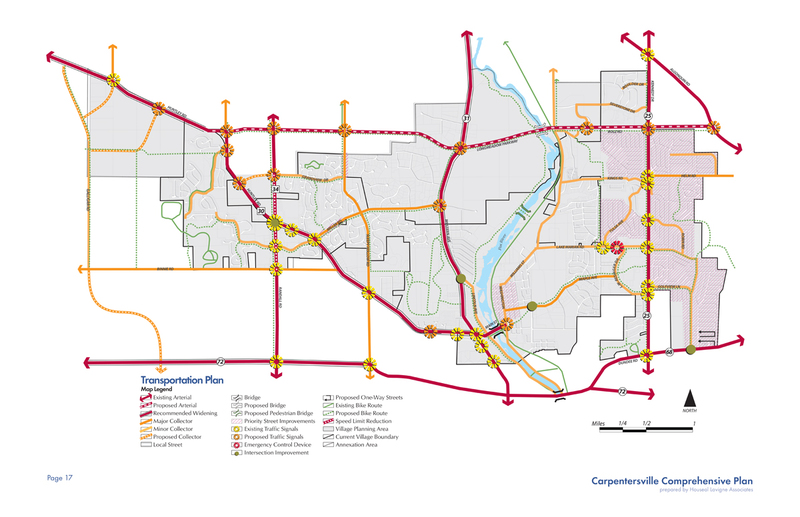 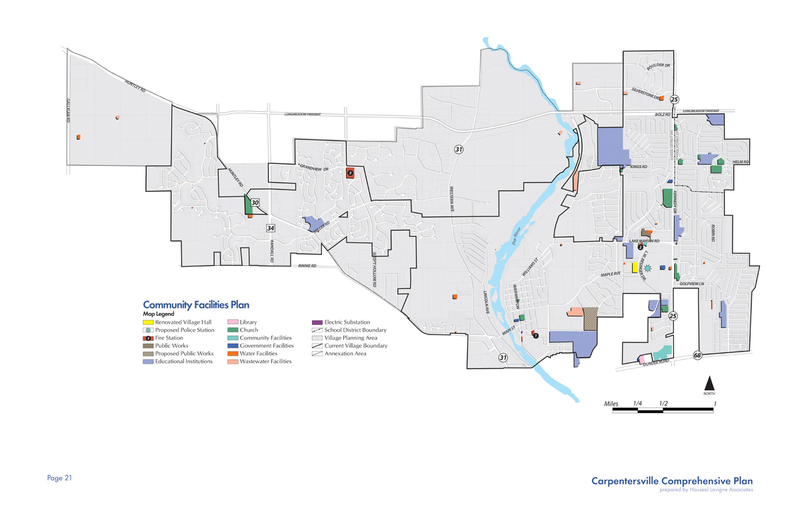 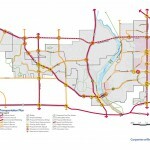 The Carpentersville Comprehensive Plan won the American Planning Association’s Illinois Chapter Award for “Best Plan” for 2007. 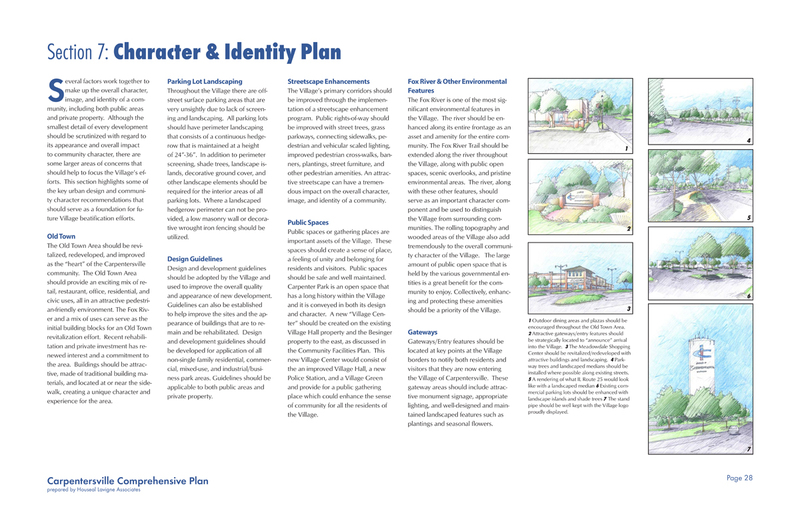 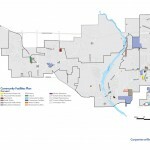 The Plan, prepared by Houseal Lavigne Associates, included a detailed Downtown Plan along with four other subarea plans to provide more specific recommendations and policies for key locations within the Village. 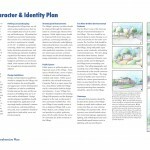 The planning process incorporated bilingual outreach efforts, including English and Spanish surveys, workshops, interviews, articles, and Project Website information. 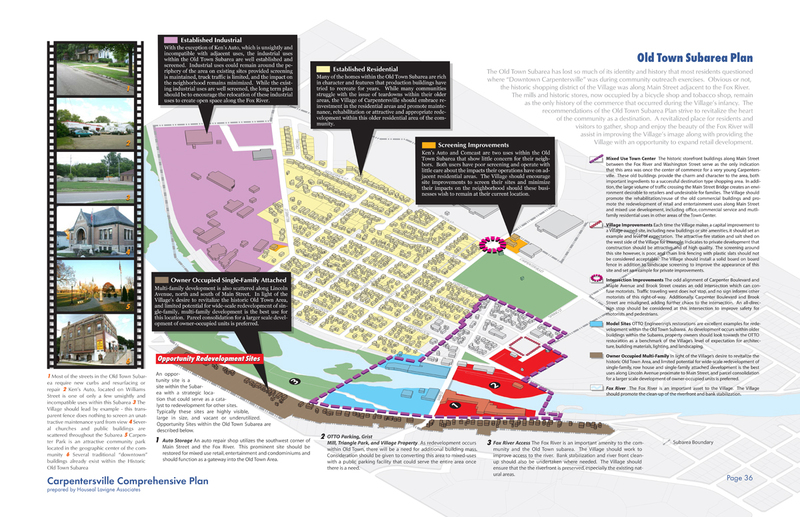 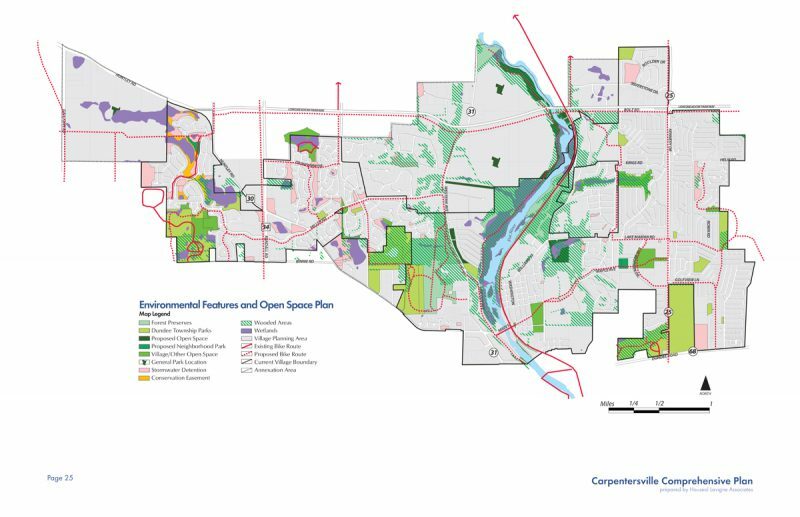 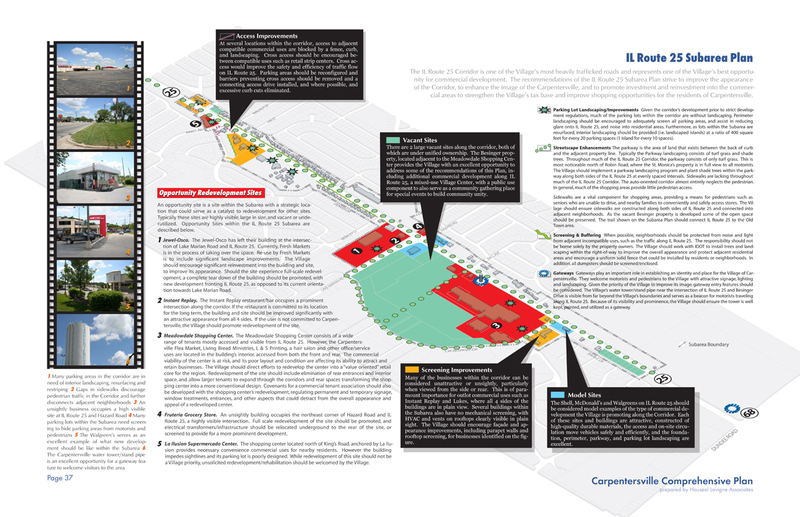 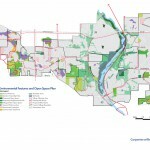 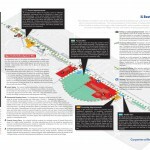 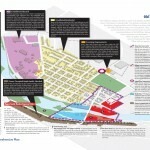 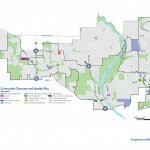 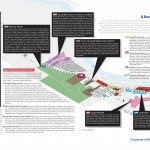 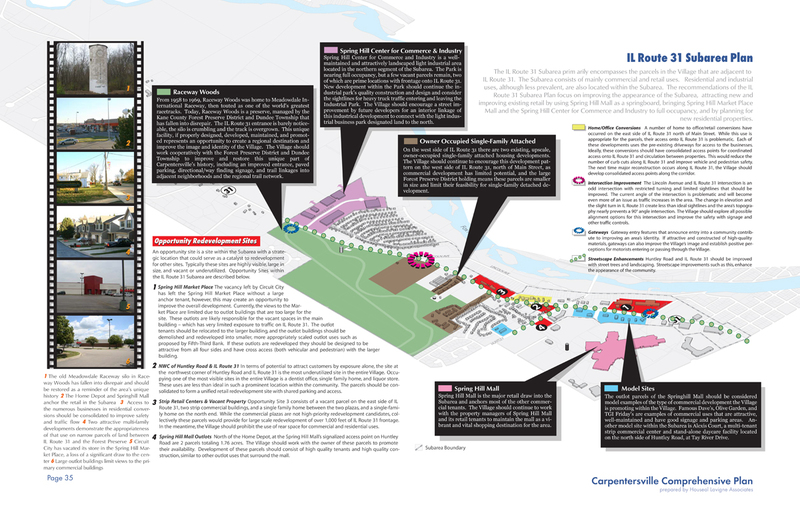 The Plan carefully planned the growth areas around key environmental and ecological features, and targeted existing built areas for revitalization and enhancement.